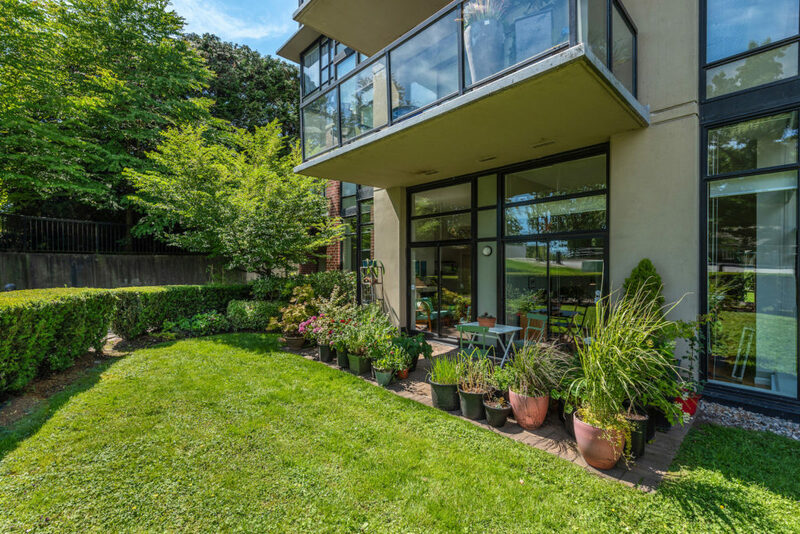 Welcome to this one-of-a-kind home that feels more townhouse than condo with a spacious outdoor patio surrounded by lush green grass and a manicured hedge. 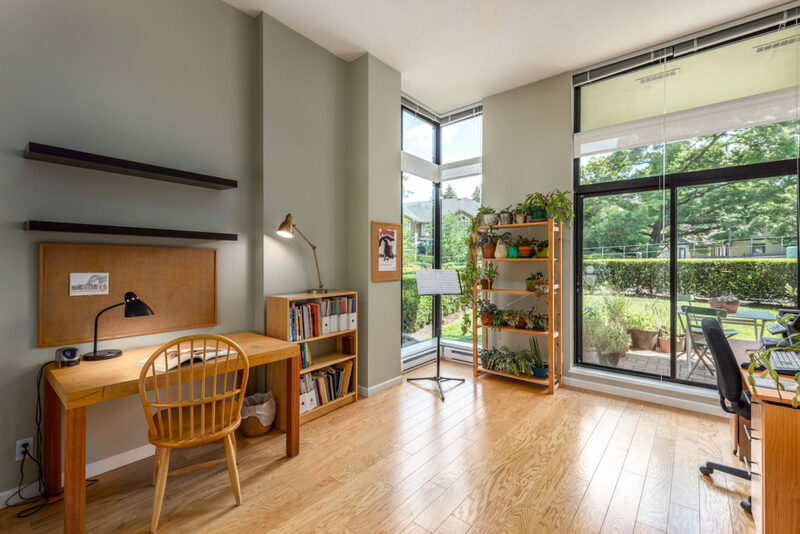 Features of this nearly 1,100 sq. 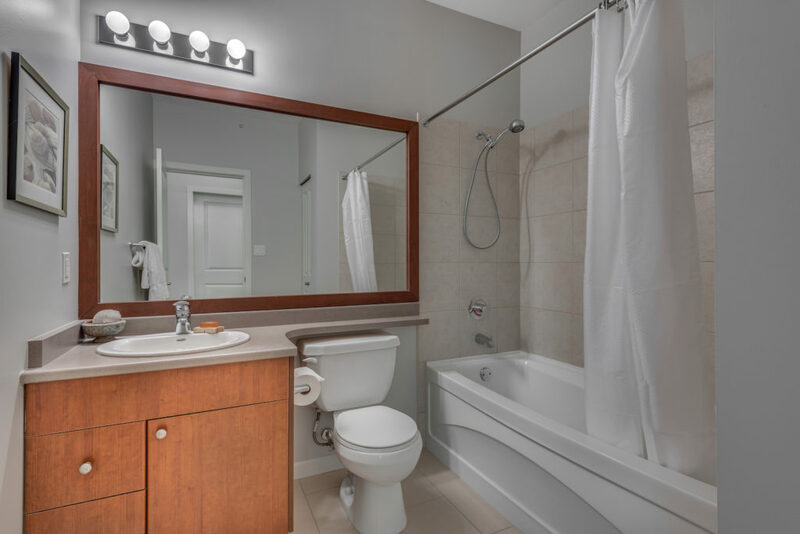 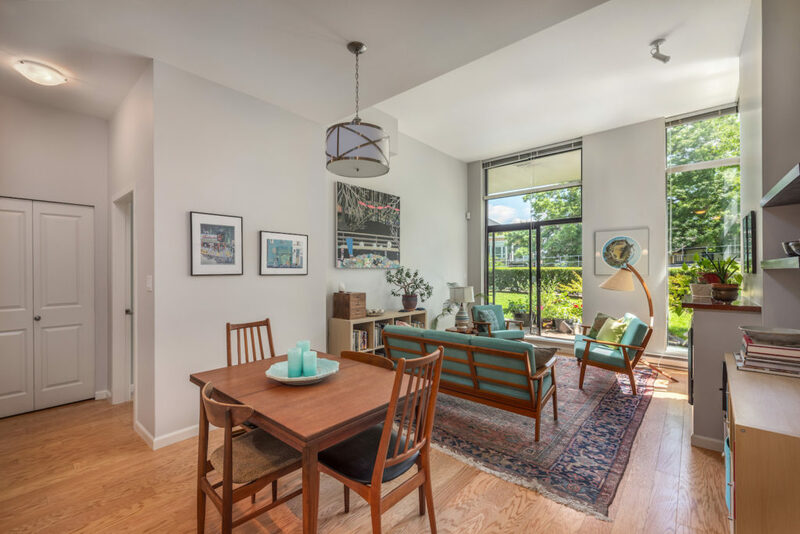 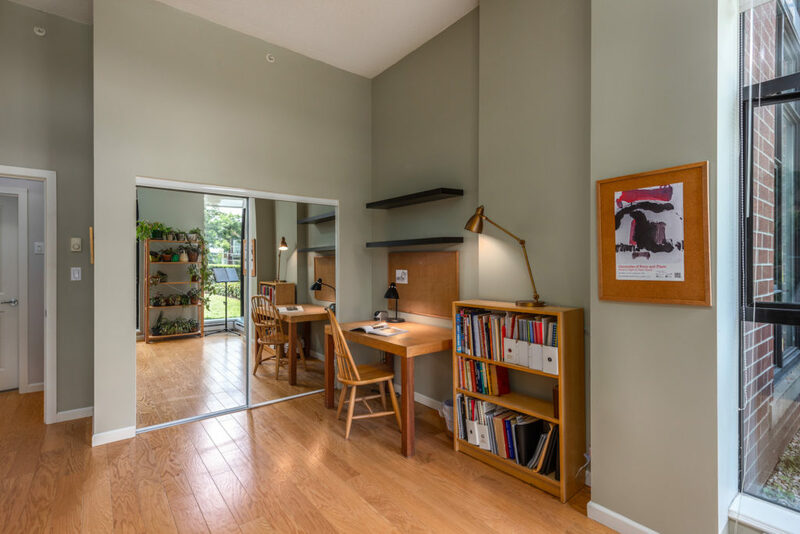 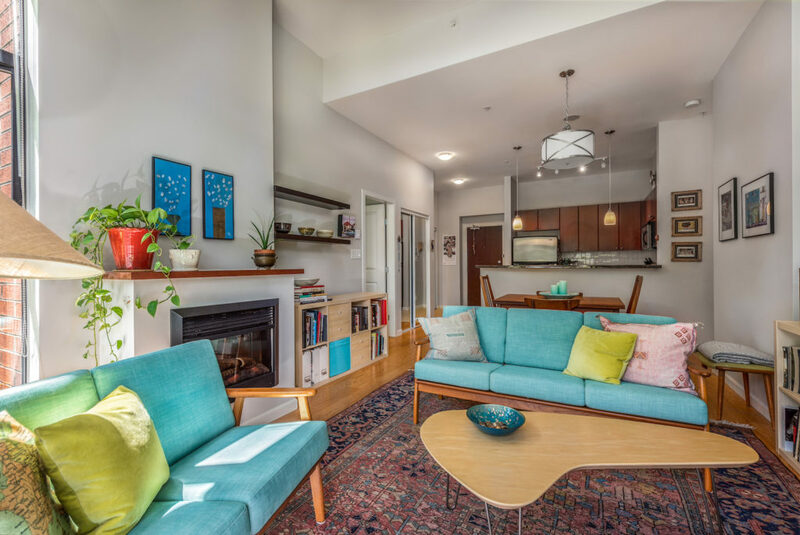 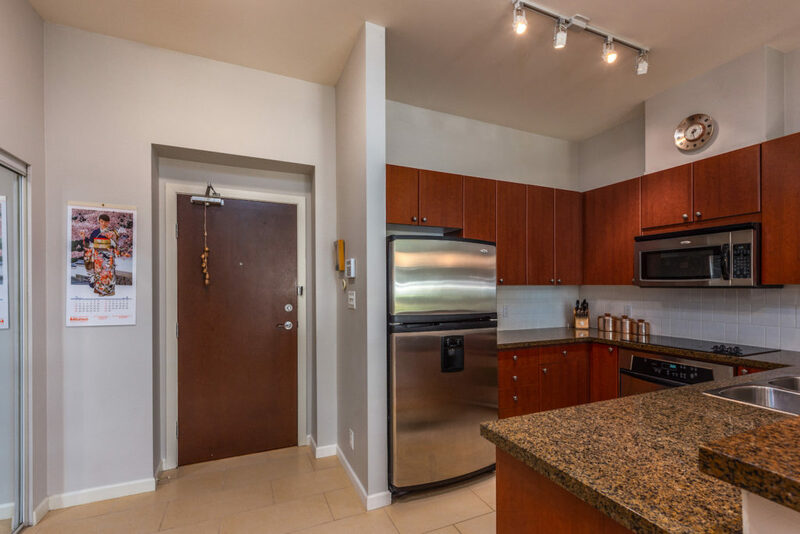 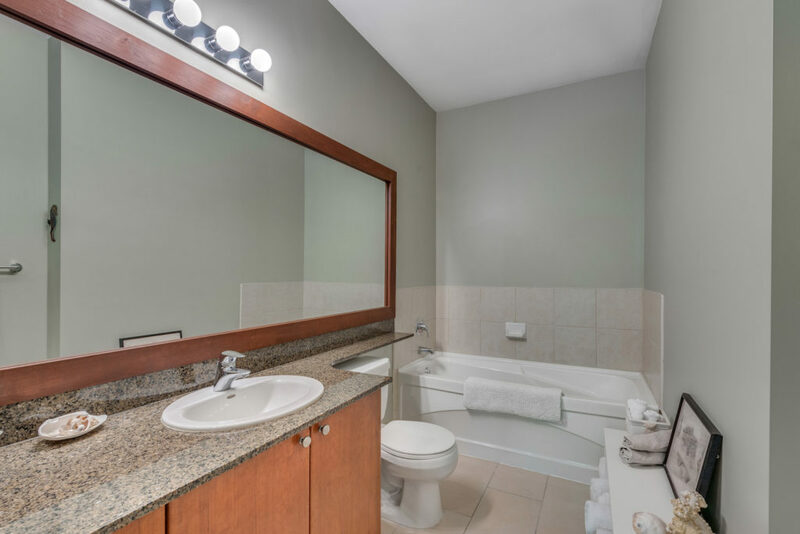 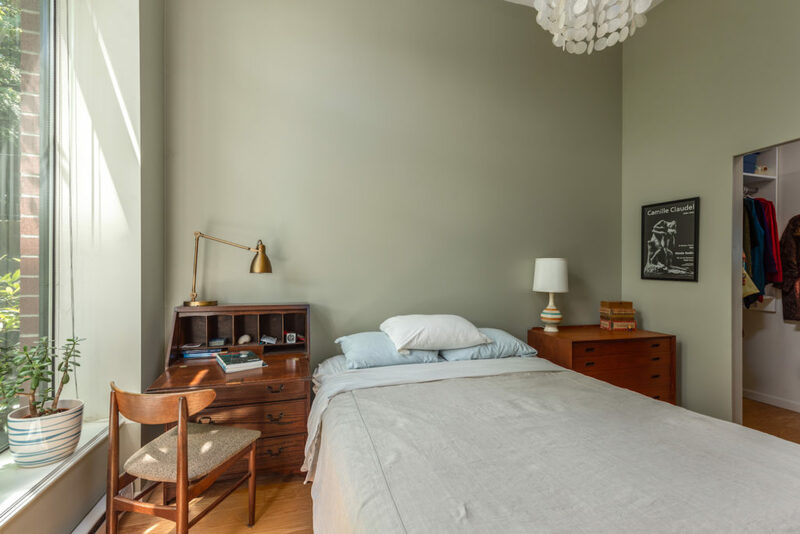 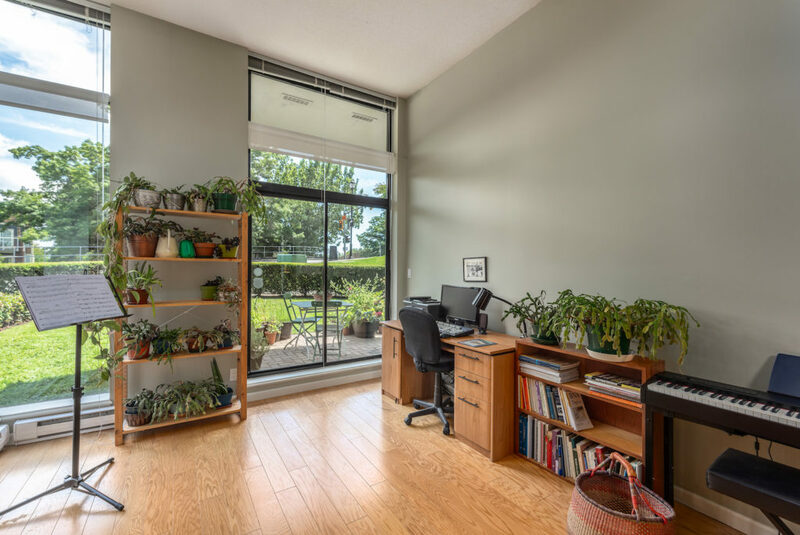 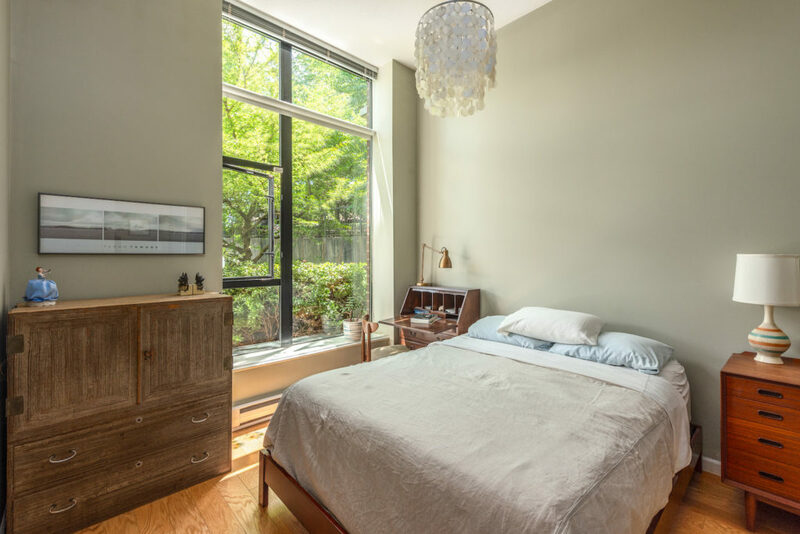 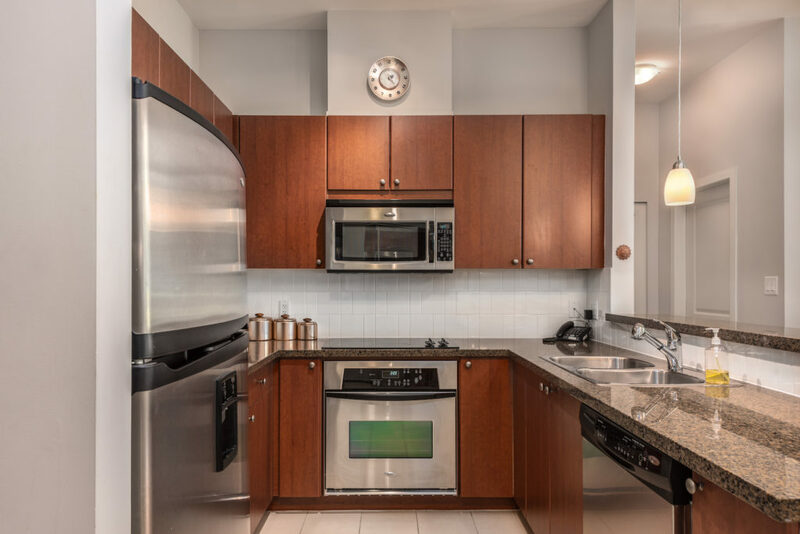 ft, two-bed and two full bath condo include spacious open concept living and dining rooms, fireplace, new wide-plank hardwood floors, custom closets throughout, a well-equipped kitchen with stainless steel appliances, granite countertops and loads of storage. 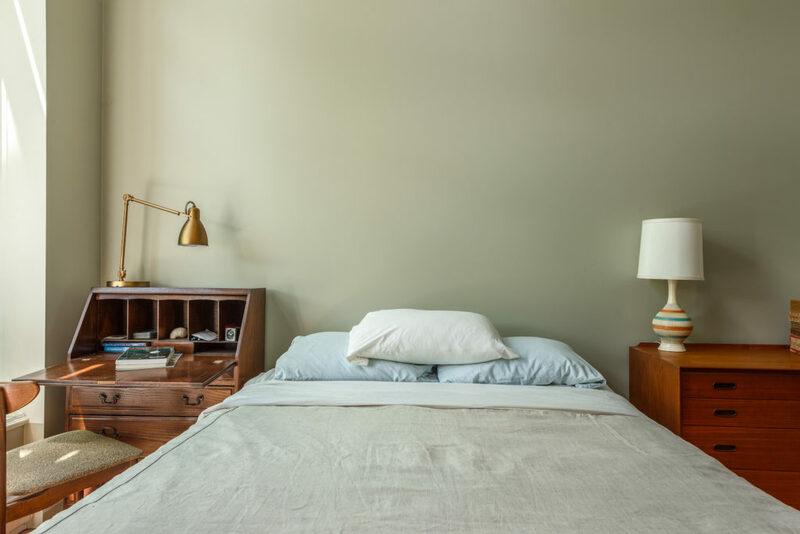 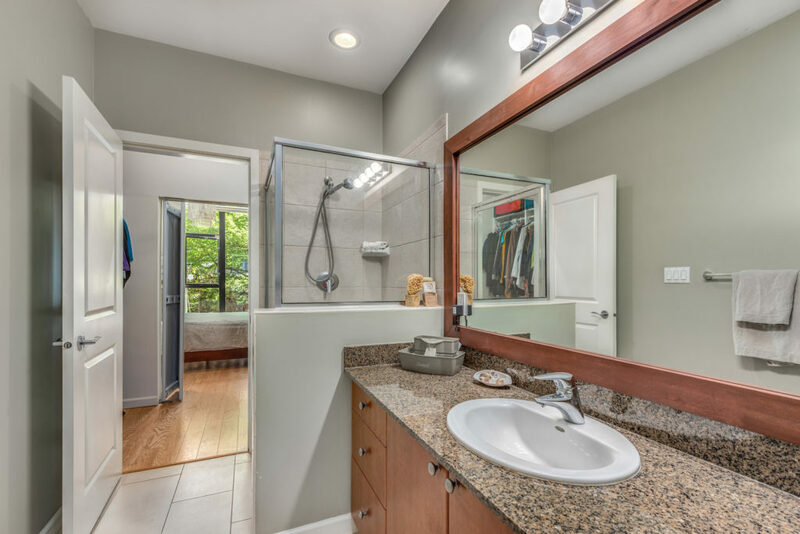 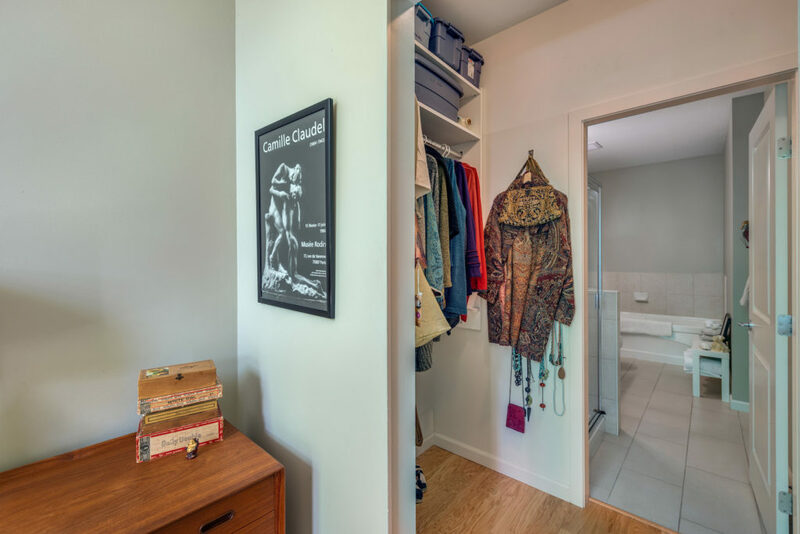 The roomy master suite has a walk-in closet complete with custom shelving and large ensuite with separate shower and soaker tub. 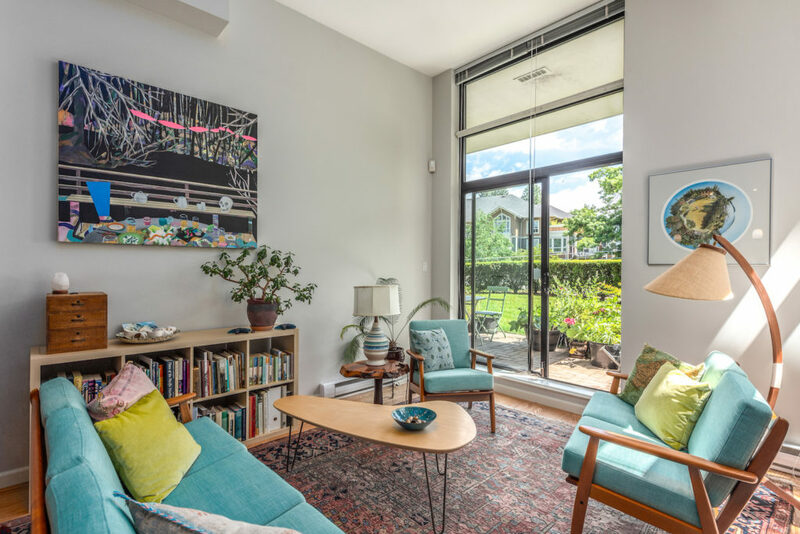 This airy, light-filled condo boasts 9.5 to 11-foot ceilings and floor-to-ceiling windows giving it an amazing lofty feel. 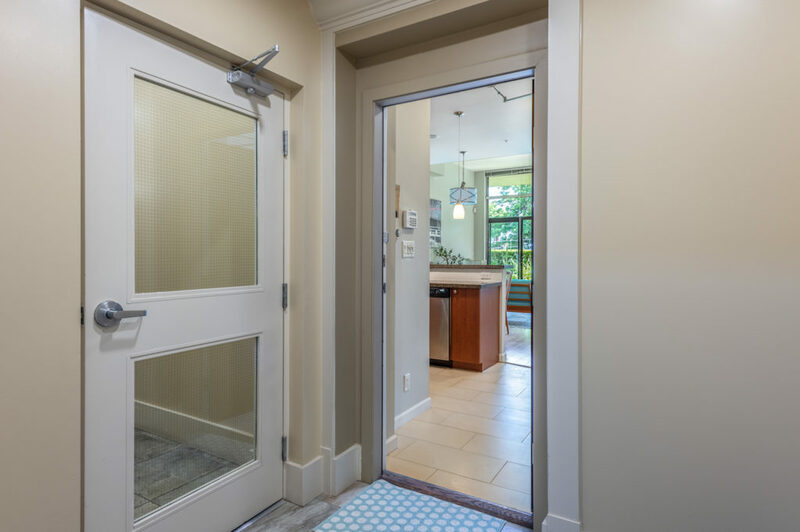 If you have a four-legged friend at home, then you will love the walk-out patio and front yard. 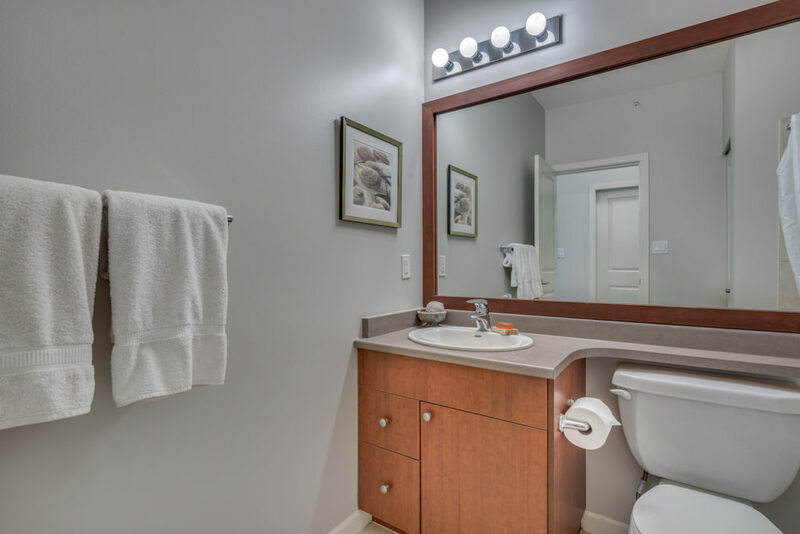 Also included are two parking spots, a separate storage locker and resort-style amenities including an outdoor pool, exercise centre with steam and sauna, guest suite and clubhouse. 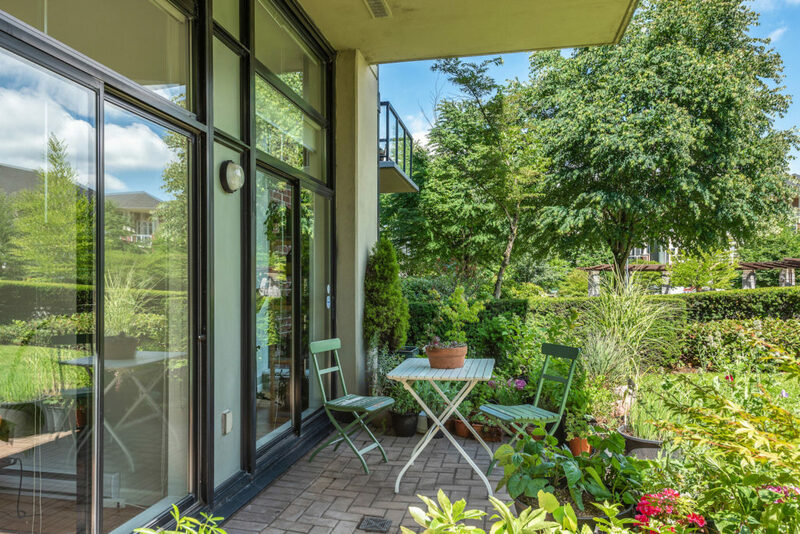 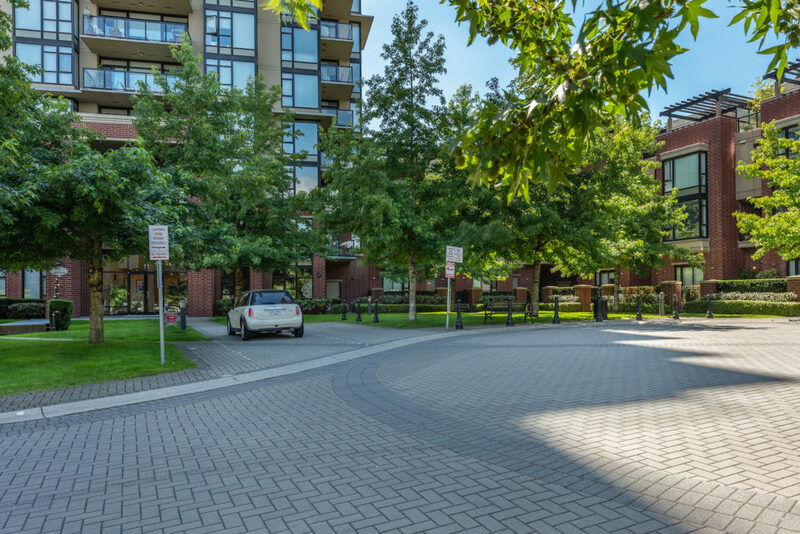 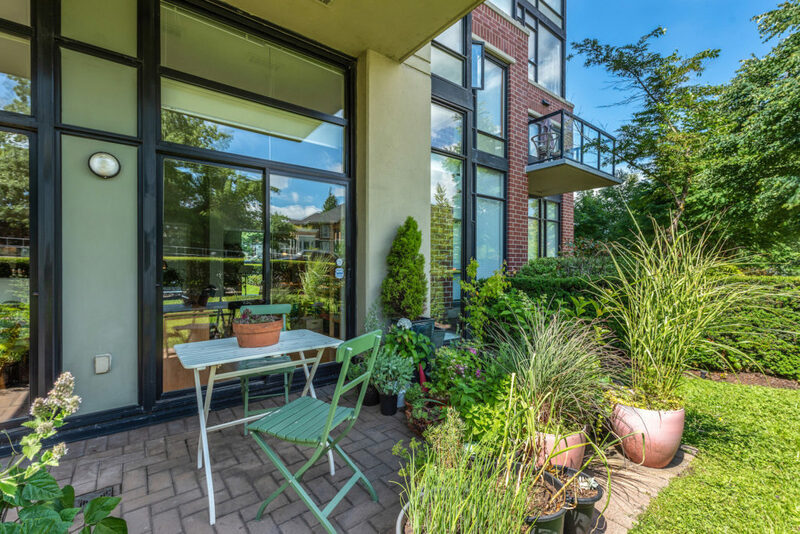 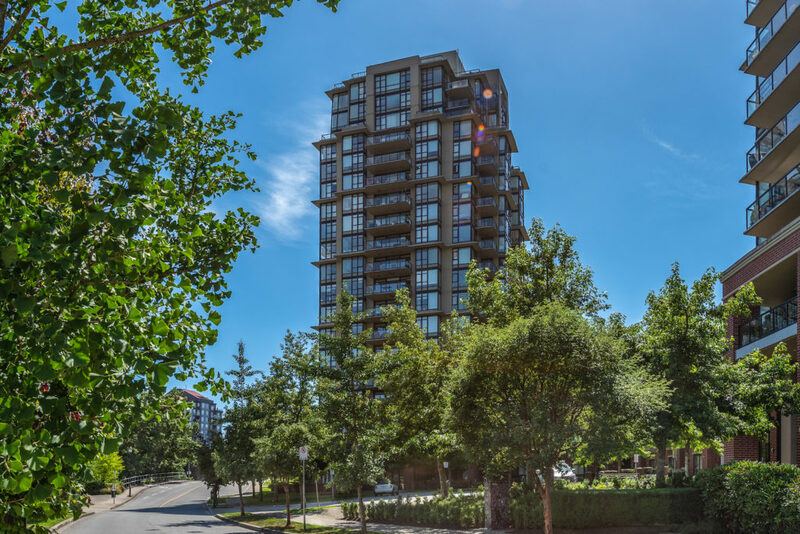 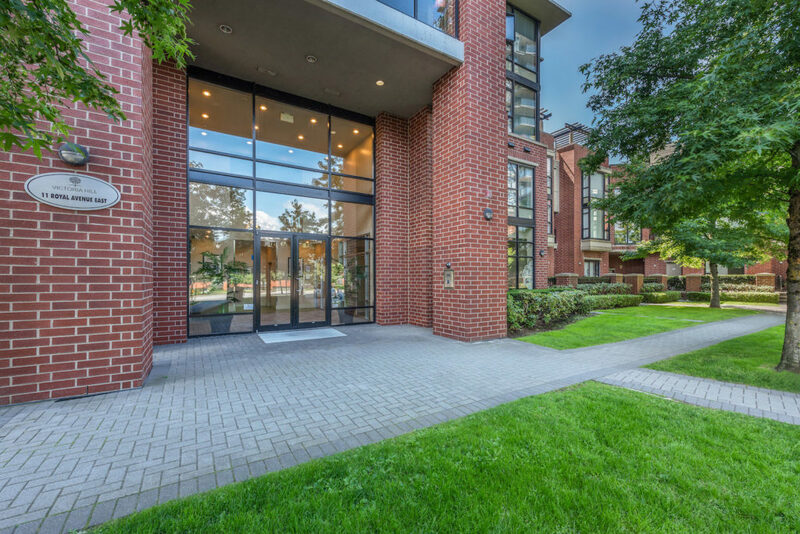 Nestled in the heart of New Westminster within walking distance of Queen’s Park, Victoria Hill Park, shops, services, Centennial Community Centre and SkyTrain, this rare opportunity is one you don’t want to miss!